Bob Beckel is an American political analyst and pundit, and a former political operative. 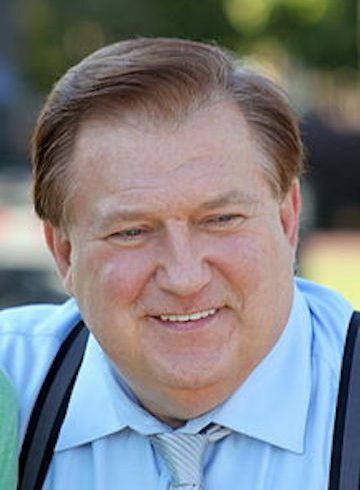 He is a former analyst and commentator for CNN, Fox News, and former columnist for USA Today where he wrote articles with his friend and political opposite Cal Thomas in the style of “point-counterpoint.” In 2007, Beckel and Thomas coauthored the book Common Ground: How to Stop the Partisan War That Is Destroying America. Beckel was born in New York City and grew up in Lyme, CT. He is the son of Cambridge Graham Beckel Jr., the author of Workshops for the World: The United Nations Family of Agencies. He earned his B.A. from Wagner College in Staten Island. While there, he played football and worked for Robert F. Kennedy’s presidential campaign. After college, he served in the Philippines with the Peace Corps. In 1977, Beckel joined the U.S. Department of State as deputy assistant secretary of state for congressional relations, becoming the youngest deputy assistant secretary of state in President Carter’s administration. In that role he helped to shepherd the Panama Canal Treaty through Congress to ratification. The following year was appointed special assistant to the president for legislative affairs, working on the ratification of Salt II and Mideast treaties. Beckel was the campaign manager for Walter Mondale’s 1984 presidential campaign. Later that year he formed the consulting firm Bob Beckel & Associates (BBA), a lobbying firm that was succeeded a year later by Beckel-Cowan. 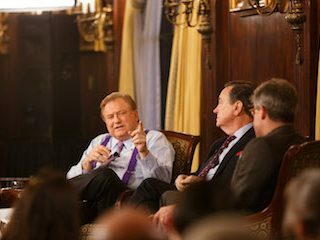 In 2015, Beckel published his memoir, I should Be Dead: My Life Surviving Politics, TV, and Addition, co-authored with John David Mann.